If you are not exporting, your competitors likely are or will. Tennessee exports have grown 61% since 2009. Tennessee's Department of Economic and Community Development offers free export assistance. Take our readiness assessment to gauge if your small or medium-sized business is ready to export. With just a few questions that highlight some key aspects of exporting, you can judge whether or not your business is ready to go global, or if you need to take a few more steps before beginning the export process. 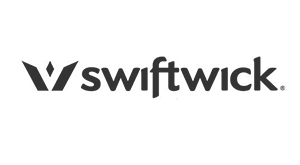 Tennessee-based Swiftwick, a leading U.S. producer of athletic compression socks became involved with TNTrade in earlier 2013 at the very beginning of the program’s launch. At the time, CEO Mark A. Cleveland saw an opportunity for Swiftwick in Canada, where consumers had been purchasing socks online for years. Cleveland knew that international expansion required a goal so he attended the launch meeting of TNTrade and participated in Export 101 classes to help identity his approach. Swiftwick was matched up with a TNECD export specialist who was able to walk Swiftwick through the necessary steps to initiate a successful export strategy from beginning to end. This partnership secured Swiftwick their first Canadian distributor, Rock Gear Distribution, a company that serves hundreds of dealers for sporting goods and travel retailers. The deal with RGD comes after a year of substantial growth for Swiftwick. In 2013, Swiftwick brought in record-breaking revenue with 33 percent overall growth. Swiftwick is currently working with TNECD export specialists to set up distribution deals in the UK and EU. Ampro (Memphis) is an established Tennessee company with a significant market share throughout the USA in hair care products. The company recently committed to increasing its exports but was unsure of the potential market size, possible competitors, price points and which markets in Europe to prioritize. TN Export staff provided the company with a detailed market landscape comparing the UK with other major European market, profiling major competitors, sharing comparative price tables, summarizing potential end-client profiles and offering detailed market regulations. Ampro now has a clear vision of which markets to prioritize and their best route to market. The company remains committed to driving up exports in Europe and we look forward to assisting them with their next stages. After the chemical compositions are finalized this fall, Ampro plans an extensive UK/EU launch of its products. After an extensive search we arranged two meetings with Polish distributors for American Bicycle (Chattanooga) at Eurobike in Friedrichshafen, Germany, Europe’s leading trade show for bikes. The agreements resulting from these meetings are being finalized. After conducting an initial distributor search, we organized meetings with three French music instrument dealers at Musikmesse Frankfurt for Treeworks Chimes (Nashville) this spring. We were able to identify dealers who already knew the products and were very excited about getting in contact with the company. We are still awaiting the official deal. After TN Export specialists connected VersaTube Building Systems with distributors in Mexico, they recently received verbal commitment from AutoZone Mexico to begin ordering their products in all of their regional stores. They have also received interest from Corey Building Products and Techos en Arcos. The risk of exporting fluctuates depending on the market. Some markets, such as Canada, are no more risky than selling to the United States. Even then, any risk or fear that exists can be reduced or even eliminated by the counseling services offered by both the federal and state government. 2. MY BUSINESS IS DOING WELL DOMESTICALLY, WHY SHOULD I START EXPORTING? Exporting is an excellent way to grow your small or medium sized business. If there is a market for your product in the U.S., there is definitely a market for your product overseas. Going global can only grow your market and increase its receptivity. Furthermore, getting involved internationally decreases your business’ sole reliance on the American economy thereby increasing opportunity for longevity and stability. Competition in your company’s market is increasing within the United States, especially from foreign businesses. There might be a higher demand for your product abroad. With trade growing exponentially and trade barriers falling, staying domestic is missing an opportunity. 3. IS IT DIFFICULT TO GET PAID? With the increase of globalization and the exponential growth of international trade, trade finance and global banking are becoming more common. Trading internationally has become the norm. It is safe and efficient. There are several reliable payment collection methods that can be employed depending on your company’s needs. 4. IS MY BUSINESS TOO SMALL TO EXPORT? No. A company of any size can go global. If there is a market for your product in the United States, there is a market for it overseas. 5. I DON’T HAVE INTERNATIONAL EXPERIENCE. HOW DO I WORK WITH OTHER COUNTRIES? Speaking the language of your clients is always helpful, English will take you far. Having a friendly disposition and a willingness to learn will smooth over most cultural differences, and research will take care of the rest. Before you do business with people of a different culture, inform yourself about the differences between American culture and theirs. Simple things such as humor, dress, religious holidays and dietary practices are all tricky areas that could create problems. Research ensures that you will avoid those problems. 6. This all seems too complicated. Exporting is relatively easy and requires minimal paperwork. If you are confused about where to begin, start by reaching out to local resources available to you. The federal and state governments are prioritizing exporting simply because of its economic benefits, which means that a plethora of resources are available for businesses. The TNTrade team can guide you through the process step by step and be there to answer any questions. Contact us today to get started. Commissioner Bob Rolfe will lead a trade mission to the United Kingdom and Ireland with a focus on Life Science Technologies and to explore current trade policies. There has been tremendous growth in Life Sciences industries such as Pharmaceuticals & Medicines, Medical Equipment & Supplies and Agriculture & Construction & Machinery in both the United Kingdom and Ireland. With total exports over the past five years from Tennessee to the United Kingdom increasing 60% and to Ireland up 240%. The program leverages LondonTechWeek 2018 to provide a platform for a truly technological experience. SEUS-CP will feature 3 sector-specific programs on transportation (automotive, aerospace, shipbuilding), energy and ICT. Numerous activities including networking events and business-tobusiness (B2B) meetings will allow participants to engage with Canadian and southeastern United States government officials, key industry players, and new and existing customers.